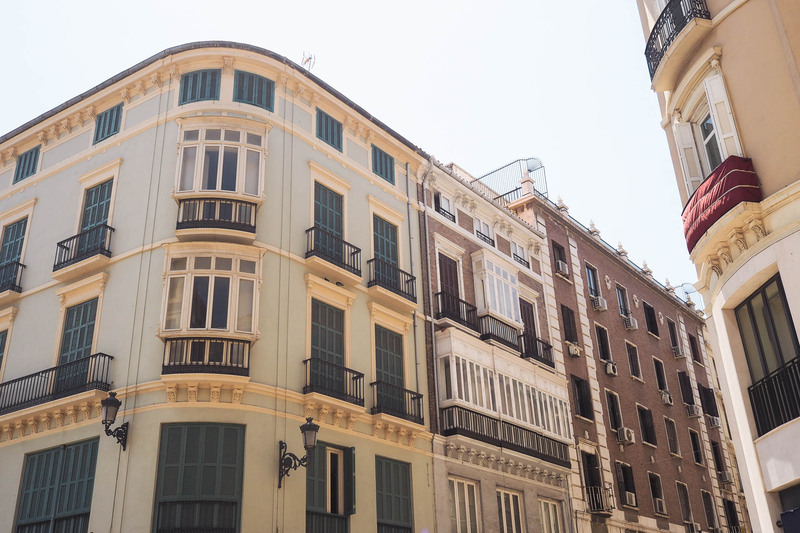 Last week I took a trip into Málaga for the day with my family for the first time. 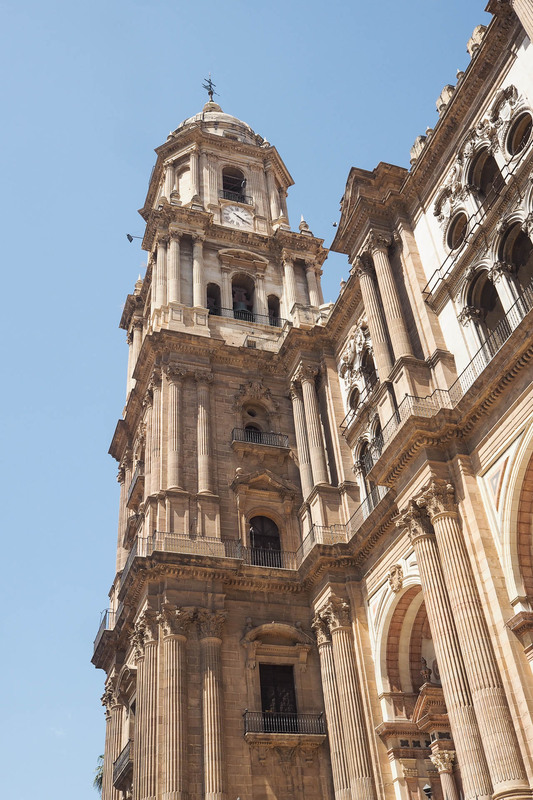 Málaga is just around an hour away from our house in Spain, so it was on our list of places to visit for a while. 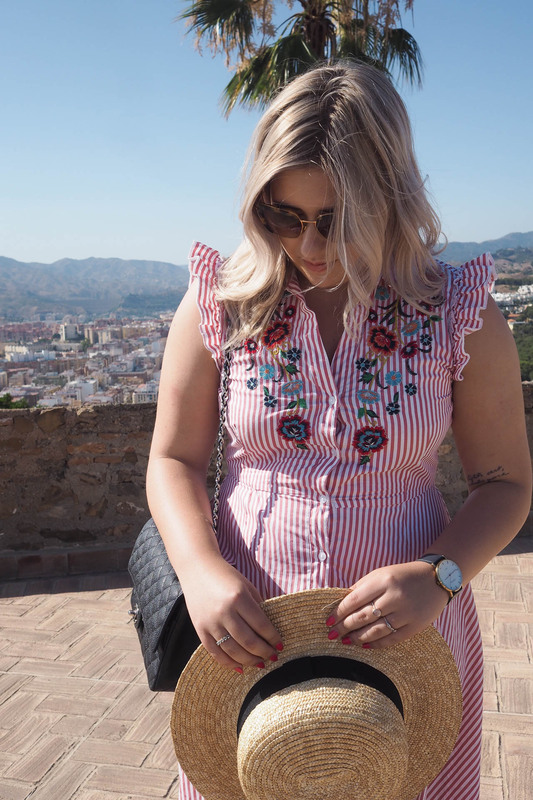 It has been a bit of a heat wave in Spain at the moment, with temperatures reaching around 32 degrees everyday – so we waited until later in the afternoon to set off, in order to avoid the extremely hot midday sun! 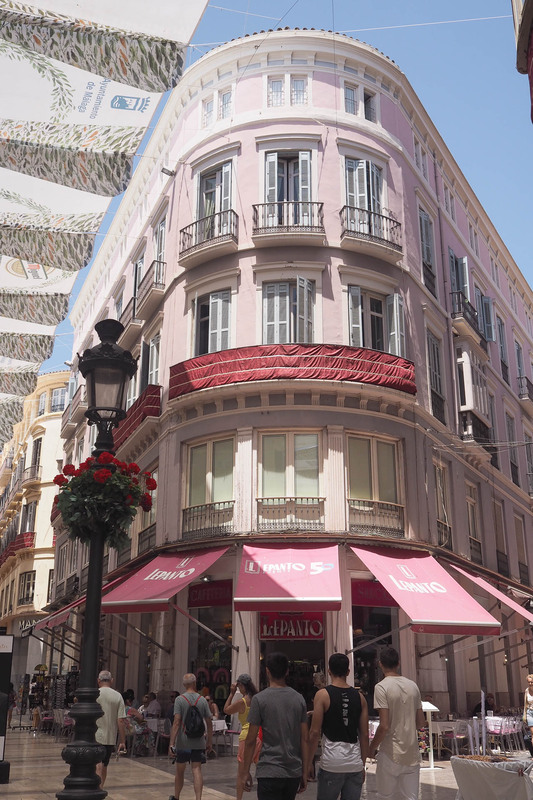 We arrived by train to the Málaga Central station and decided to get tickets to the open-top bus service that runs through the city. I know these things are extremely touristy, but they are a very easy way to get around the city and see things especially if you don’t have much time. We got on the bus and sat at the top – meaning we had a lovely breeze to cool us down while we saw the sights. 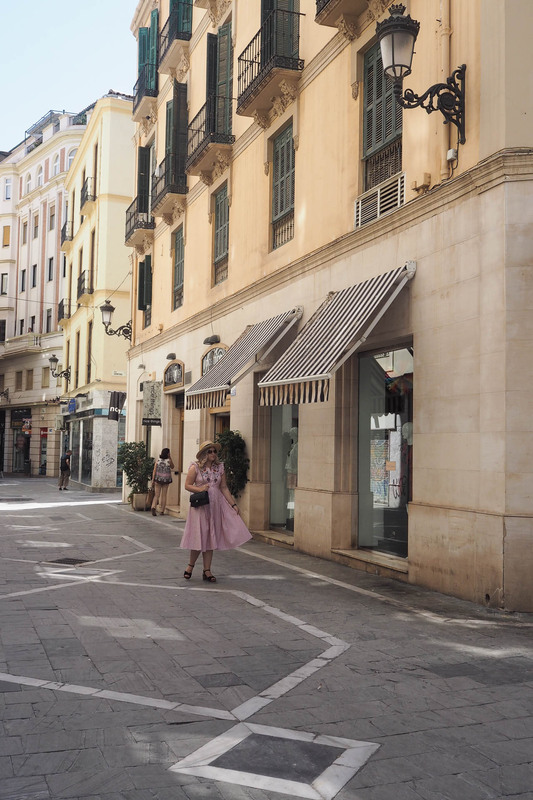 We got off near the Cathedral and wandered down Calle Marqués de Larios, which is a very pretty shaded street that has all of the shops on it. We stopped by the Cathedral as well, although we didn’t go in as the queue was quite long. It is absolutely huge and rather imposing compared to all the other buildings around it. But it is definitely worth a visit even just to wander around the surrounding gardens. Afterwards, we wandered back down towards the port to catch the bus up to see the castle. 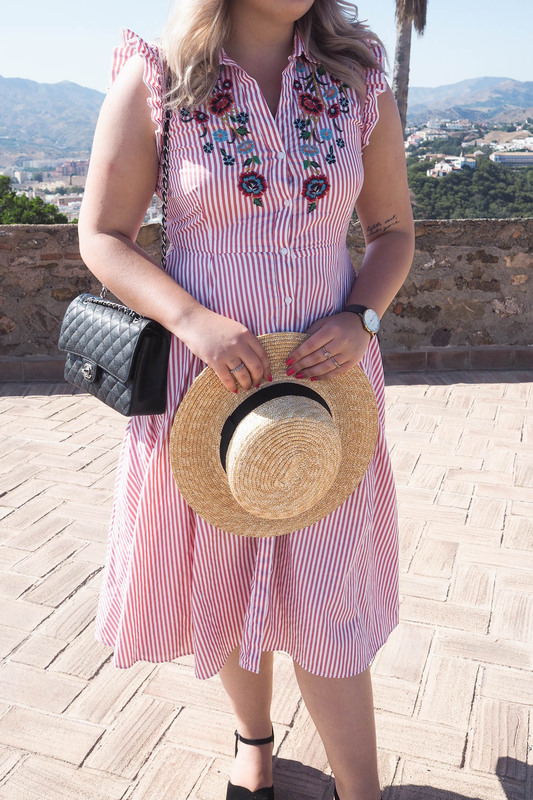 But first of all I had to snap some photos of the outfit I was wearing and specifically this dress which I have absolutely fallen in love with. I wanted to wear something long to keep the sun off of me and also just because I find them very comfortable to wear in the sun! 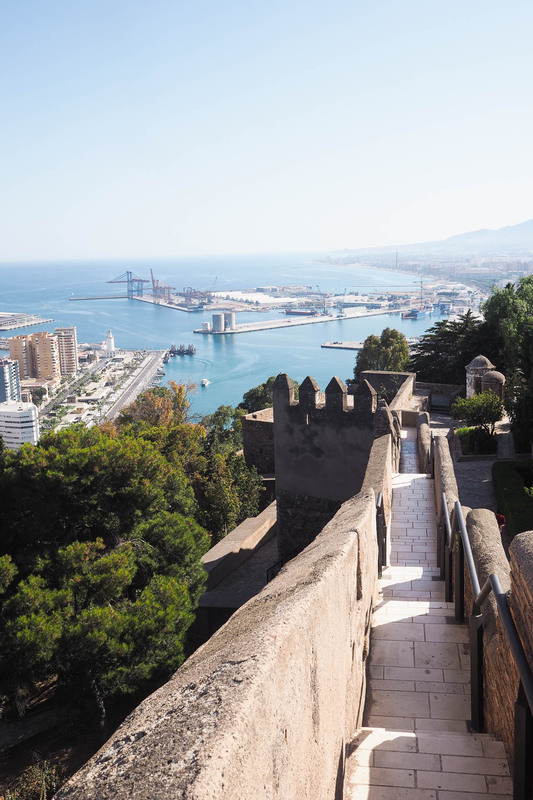 The castle is up at the top of Malaga, quite high up! It has some incredible views over the city and is well worth a visit just to see them. The entry was also very cheap – I believe it was only around 3 euros per person. The views from the back of the castle actually reminded me a little bit of La La Land (I’m still obsessed with it!) with the mountains against the blue sky and the palm trees. 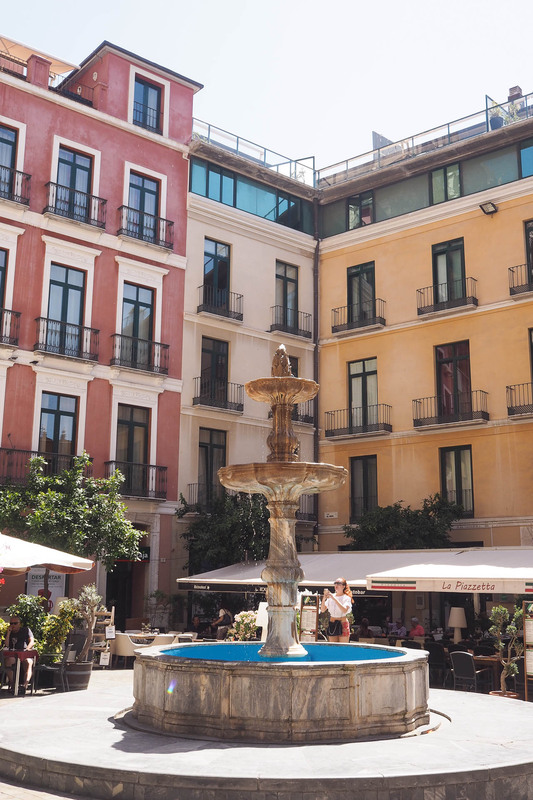 I think this part of Spain is so, so beautiful and such an underrated place to visit. 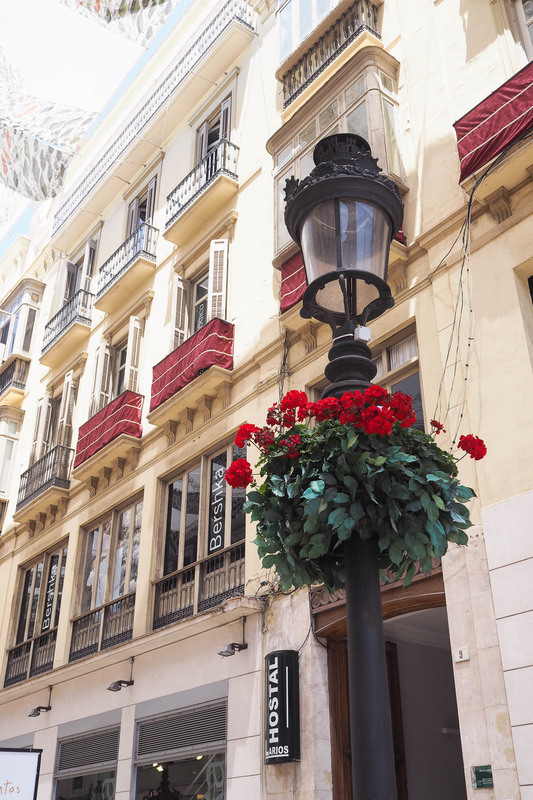 I know some people will just think of TOWIE and drinking holidays when they think of the Costa Del Sol, but the area is so much more than just Marbella. There are so many little towns and villages to visit (I have so many on my list!) and they are all so beautiful. 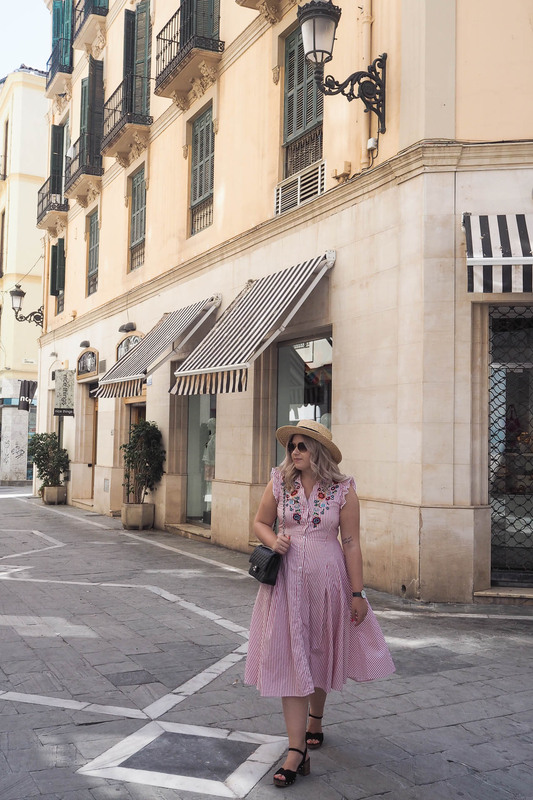 To be honest, I found Marbella/Puerto Banus to be the most disappointing areas I’ve visited so far – there is so much more to see! 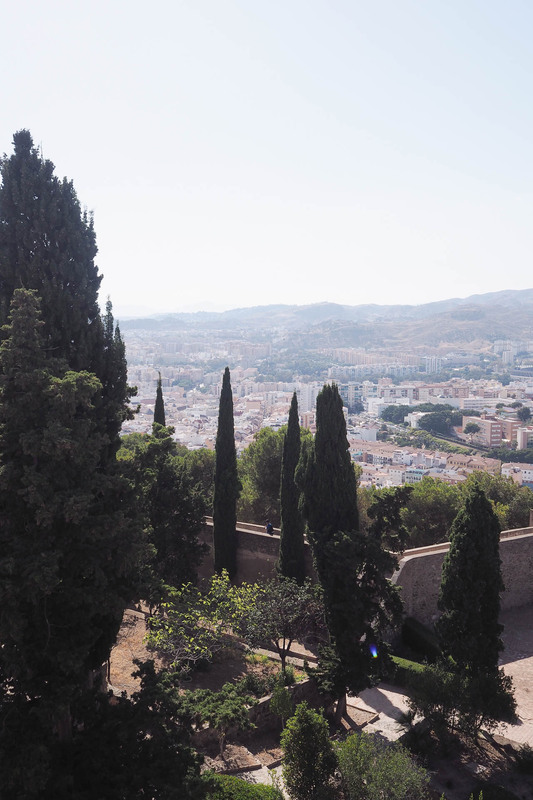 So that was my little photo diary of Malaga. 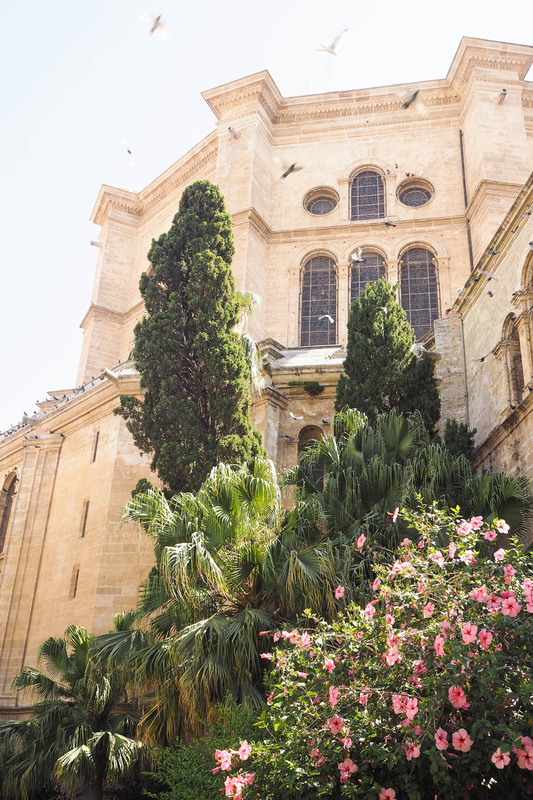 I would really like to go back the next time I’m in Spain as there is so much more to see that we didn’t get the chance to visit! Do let me know if you have ever visited before and what you would recommend doing. 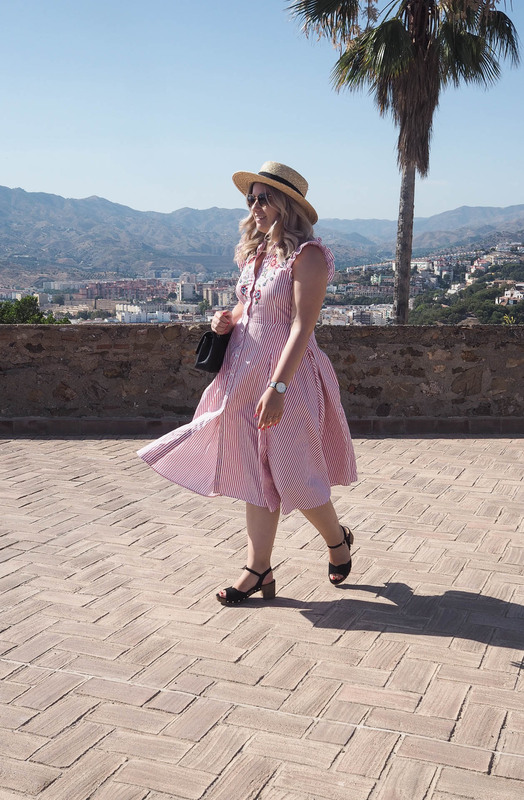 If you’d like to see more travel snaps & outfit photos, so follow me on Instagram (link here!). I post on there everyday! "How to Bring Hygge into Summer."